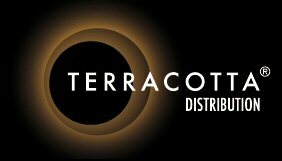 In the 2nd of an occasional run of interview features, we present team member Sam Scott's recent interview with independent UK distributor Terracotta Distribution. With the help of some questions posed by Rewind visitors, here is the interview. First of all, thank you for this opportunity to learn more about Terracotta Distribution. Could you start off by telling us about Terracotta? How did the company come about and why? I grew up watching Hong Kong films like Once Upon a Time in China and The Killer, and lending old VHS tapes to friends and I think that has carried through to my adult life and onto a larger scale - so instead of enthusing about Wong Fei Hung and getting my friends to watch it, it's now become, get as many people as you can to watch this amazing Korean indie film called BREATHLESS that we've seen. The main idea behind Terracotta is that we want people to watch the films - we are just an intermediary between film-maker and film-lover - whether it's at a festival or on a DVD, the format is not important, the film is and we should reach as many people who potentially would like the same films as us as possible. Hi Marcus. Thanks! Yes, we are always travelling to different film festivals to select our next batch of releases. We are happy to be able to tell you that we will release Kim Ki-duk's next film ARIRANG. Kim Ki-duk shot to prominence in the UK with Spring, Summer, Autumn.... and 3-Iron. He's been absent from our screens for a few years and this is his comeback. Why the absence? Watch ARIRANG to find out why! We like to be diverse in our selection and another title we will be starting to announce soon is FAIRY TALE KILLER, a Danny 'The Eye' Pang film. It stars Lau Ching Wan (Mad Detective, Longest Night) as a policeman hunting a serial killer whose murders resemble fairy tales. Still being edited and released in Asia at the end of April and we hope to release it in May shortly after. The Korean movie Attack the Gas Station would suit the Terracotta module. Any chances of you releasing this? Brian N.
Hi Brian. Yes, it's a film we'd like too! Many people suggest this film to us, but doesn't that mean everyone's seen it already? It's definitely on our list! Hi Noor. All our materials are from the Asian producers and there's a cost involved to ship them over and convert them so we are always selective in what we release. Hello. Our website Terracotta Festival will be live soon and we have already confirmed MY WAY as the Opening Film and HIMIZU as the Closing Film. MY WAY is a WW2 blockbuster set in the battlefields of Asia and the beaches of Normandy, starring an ensemble Japanese, Korean and Chinese cast and is from the director of Brotherhood. HIMIZU is Sono Sion's latest film set in post-tsunami Fukushima. We also have a Daniel Wu and Kevin Spacey film called INSEPARABLE! We are happy to report also that we will introducing the TERROR-COTTA horror marathon: an Asian horror triple bill, short films, quizzes, prizes and freebies. There will be the usual mix of director and actor Q&As and some Masterclasses by these guests. Plus the usual social events at our Terracotta Café just a few seconds walk from the cinema. Hi Graham - tough question! I would say Hansel & Gretel as it was our first one and we got it right straight away - the artwork, the marketing, the theatrical release, the press attention and it's a title that people are still talking about. Mr Phillips. 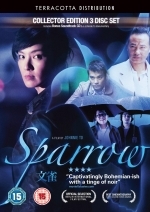 I think each title has their own complexities and I think the SPARROW boxset was the most complicated configuration we have worked on, with the bonus CD of the soundtrack (an amazing nod to 60s new wave and lounge music by Xavier Jamaux) and an hour long Johnnie To documentary in the bonus features by esteemed documentary maker Yves Montmayeur. The only difficulty was keeping on top of co-ordinating all the elements and making sure the public knows what a wonderful product it is - thankfully we have a great team and great support from the press and public. Another particular difficulty is that Johnnie To is still not as well known here as say John Woo (that's part of our job is to push his name and work further as he's a great and prolific director) and those that do know his work are only familiar with Election or PTU, that sort of gangster noir genre. He's actually done a lot of comedies and rom-coms as well. So please tell everyone about Johnnie To! YES! We are working on the Hansel & Gretel Blu-ray as we speak. Hey Jared. I think it's important to keep in mind that many people who are new to Asian cinema (whether it's the next generation of film students, or people who are just discovering Asian cinema) won't have seen the older films, so we are definitely interested in releasing a mixture of films - as long as it's good! And finally, from myself, any exclusive news for us on any future releases? Exclusives? I think I just gave away ARIRANG and FAIRY TALE KILLER as new titles slightly before our press announcement. What else can we say? There's an awesome black-comedy from Korea we are releasing soon called ENEMY AT THE DEAD END - two guys in hospital beds next to each other. One guy is paralysed, the other is the killer of the paralysed man's wife, but has amnesia and doesn't remember anything. The paralysed man tries to exact his revenge and the film goes from black-comedy to a dark-twisted psychological revenge film. You heard it here first! Terracotta's Far East Film Festival will be held at the Prince Charles Cinema in London between the 12th and 15th London. The festival includes viewings, workshops and parties and you can even talk to the talent involved with the movies Terracotta distribute. Visit the official website here. Thanks to Terracotta Distribution for allowing our users this opportunity of an interview. You can support Terracotta Distribution and Rewind by buying their products from Amazon.